Replacement Toilet Flapper fits ELJER TITAN 3 inch model #495-6077-00 . JAG Plumbing Products strives to bring customers the best products in Canada and make them available on the best online shopping platform: Homedepot.ca - Owned and Operated in Ajax, Ontario, Canada, JAG PLUMBING prides itself on offering Home Depot Customers durable, high quality, non OEM replacement plumbing parts. The Adjustable 3 inch Flush Valve and Tank to Bowl Gasket Kit fits specific toilet models made after 1997. Quick and easy to install, the flush valve height easily adjusts from 7 inch to 11-1/2 inch , with no tools or hack sawing required. The oversized tube and funnel reduce flood risk while the included premium flapper and tank to bowl gasket ensure a tight, leak-proof fit. The kit fits most 3 inch 2-piece toilet tanks, but does not fit any Kohler toilets. The Korky 3 In. Universal Toilet Tank Flapper is adjustable to match the performance of toilet manufacturer's flappers. It has a universal design and will fit oversized 3 inch flush valves found in newer 6 and 4.8 toilets. 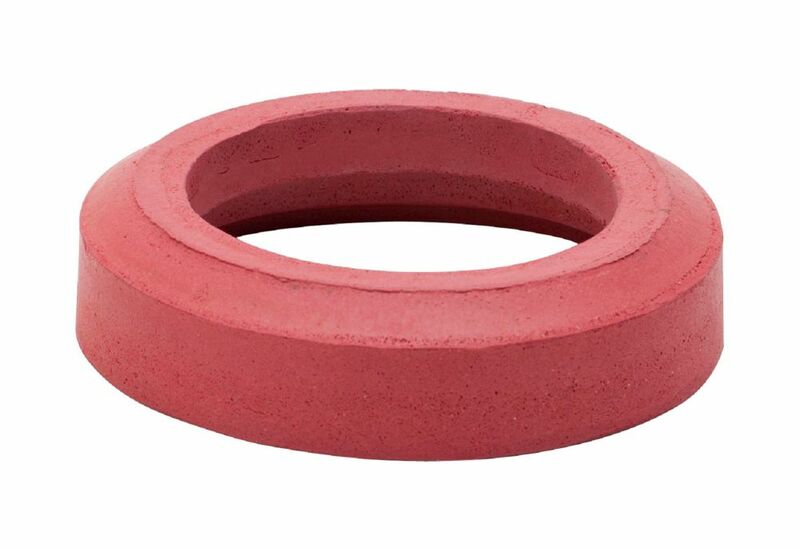 The exclusive longest lasting red rubber resist chlorine, bacteria, city water treatment, hard water, and well water. The adjustable flapper has multiple settings to ensure it fits popular 3 inch toilet models. 3 in. Tank-to-Bowl Gasket The Fluidmaster 3 in. Tank-to-Bowl Gasket is the genuine replacement part for the American Standard Cadet 3, Glacier Bay 3" Toilets and other 3" Toilets. It helps prevent leaks between a toilet tank and bowl while offering stability. The gasket features durable foam rubber construction that will provide a lasting life.